This photograph is from my mother-in-law's collection of family photos in Spain. 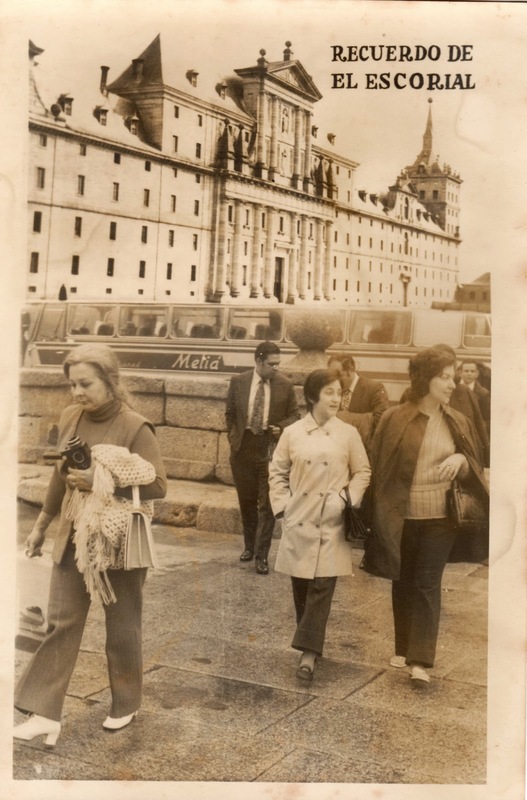 It is a tourist photo from El Escorial outside of Madrid, and dated 11 October 1971. Maria is in the center of the photo, in the light colored coat. I think I can see my father-in-law behind her, holding his coat over his arm. You can see the tourist bus behind her, labeled "Melia". When I was growing up we never traveled much. 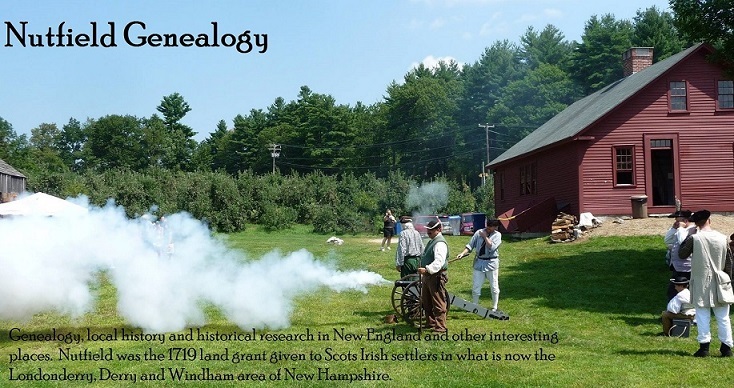 Our family vacations were spent going someplace local, or maybe camping. We took one trip to Disney World in Florida when I was about twelve, and we camped even there. My parents were frugal Yankees, and I didn't even know about these types of tourist photos. We hardly ever took the organized tours, and did our own sightseeing. We have a few family photos of these trips, but not many. My husband's family lived in Europe, and they traveled all over Europe and the world because my mother-in-law worked for Iberia Airlines. In those days there were inter-airline agreements, and plenty of seats for stand-by passengers. Maria knew all the tour companies, and they were seasoned travelers. And they bought a lot of these types of tourist photos. There were envelopes full of them, as well as scrapbooks full of postcards, brochures and their own photos. El Escorial is one of my favorite historical spots near Madrid, Spain. It was a monastery, and also the palace of the King of Spain, built in 1563 (and the next 21 years) by King Phillip II. Most of the Spanish Kings and their families for the last 500 years have been buried there in the Basilica of San Lorenzo el Real. It is an enormous complex of buildings, holding many art masterpieces . The library is wonderful, and it holds many priceless manuscripts and books. The walls are covered with tapestries, and the gardens are beautiful.